Cannabis edible products and concentrates will be legal for sale approximately one year after the Cannabis Act has come into force on October 17th, 2018. Neither of these bills will affect the already legal medical cannabis regime. The objectives of Bill C-45 are to prevent young persons from accessing cannabis, to protect public health and public safety by establishing strict product safety and product quality requirements and to deter criminal activity by imposing serious criminal penalties for those operating outside the legal framework. The Act is also intended to reduce the burden on the criminal justice system in relation to cannabis.The proposed Cannabis Act would create a strict legal framework for controlling the production, distribution, sale and possession of cannabis across Canada. 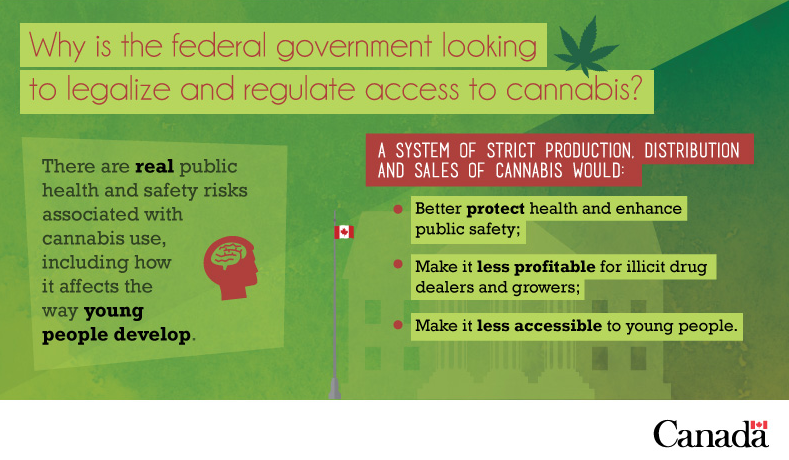 Visit the Government of Canada website for more information on the Federal Legalization and Regulation of Cannabis. The draft federal Cannabis Act (Bill C-45) can be found here: Draft Federal Cannabis Act. Visit the Government of British Columbia website to read the proposed legislation: Proposed Legislation. To learn more about B.C.’s legislative process, visit: B.C. 's Regulatory Process. 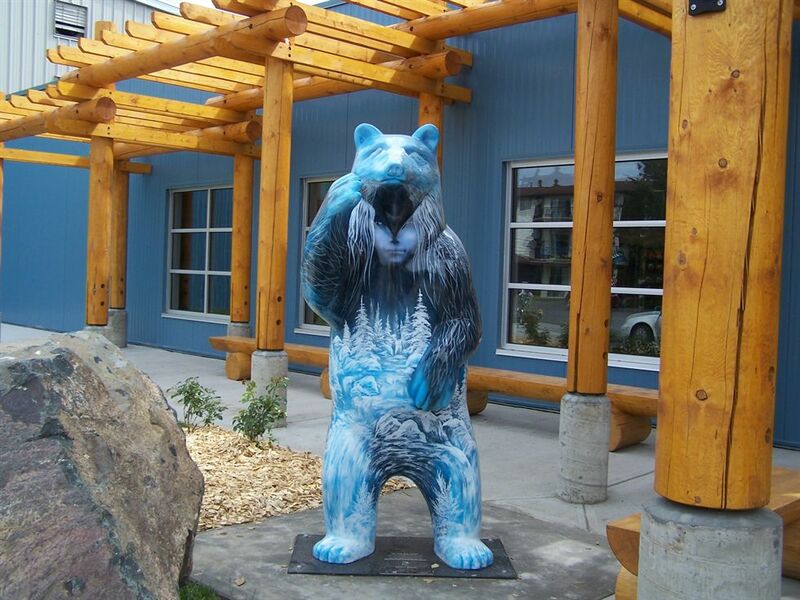 To learn more about B.C. 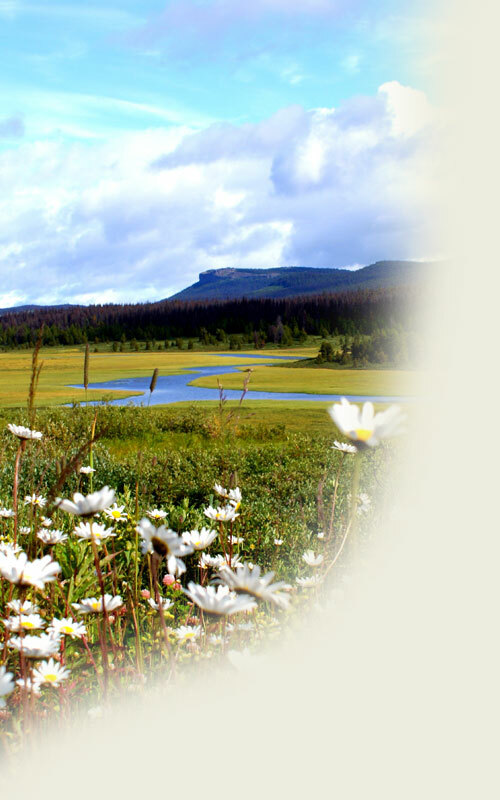 's latest decisions on the provincial regulatory framework, visit: Provincial Regulatory Framework. 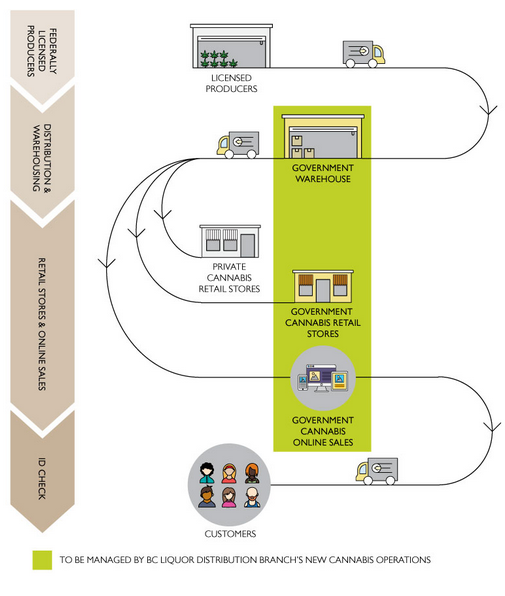 View the Cannabis Private Retail Guide at: B.C. Cannabis Private Retail Licensing Guide. The BC Liquor Distribution Branch (LDB) will be the sole, wholesale distributor of non-medical cannabis for the province and will operate standalone, public retail stores and provide online sales. Visit the BC Liquor Distribution Branch for more information. The District of Houston staff have been working on preparing for the proposed legalization, more information on the legislative framework and the authority for each jurisdiction can be found in the District of Houston cannabis legalization presentation. More information will be posted to this website as it becomes available. 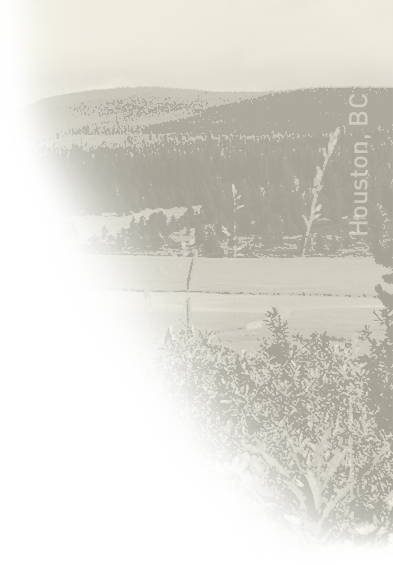 You may direct your questions regarding Cannabis Legalization to Jessica Bagnall, Corporate Officer, either by phone (250-845-2238), by email to corporate@houston.ca, or by letter mail to PO Box 370, Houston BC, V0J 1Z0.